There’s been a lot of buzz surrounding the Indeed Lab products in recent months, so I thought I’d jump on the bandwagon and give Hydraluron a go as it seemed to be the product which I would benefit from the most. I like their simple no fuss approach without the gimmicky marketing and jazzy package as it means they just focus on producing only high quality products that actually work. Hydraluron is a serum targeted specifically for dehydrated skin that was inspired by the injectable hydration treatments commonly used in Swiss clinics. These use fine needles to deliver hundreds of microinjections of hyaluronic acid into the skin. Based on this method Hydraluron was created to deliver this treatment in an affordable and less invasive method. It uses hyaluronic acid to increase skin hydration and elasticity of up to 27% and a decrease in skin roughness by 10%. Basically, adding moisture, bounce and smoothness back into the skin, resulting in more youthful looking complexion, at a much more attractive price tag. 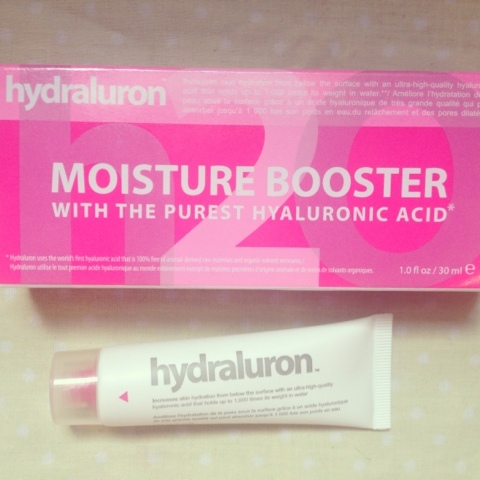 I chose Hydraluron as I suffer from little red blemishes on my cheeks and dry skin. I wish I had taken a picture of my cheeks before I started using this because I’m so, so impressed with what it’s done for my complexion. It’s completely faded any red marks and overall my skin just seems so much clearer. It also hasn’t caused any sort of reaction as I have such sensitive skin that means it’s normally quite hard to find gentle products that work for me. I use the serum before bed and in the morning before I moisturize. 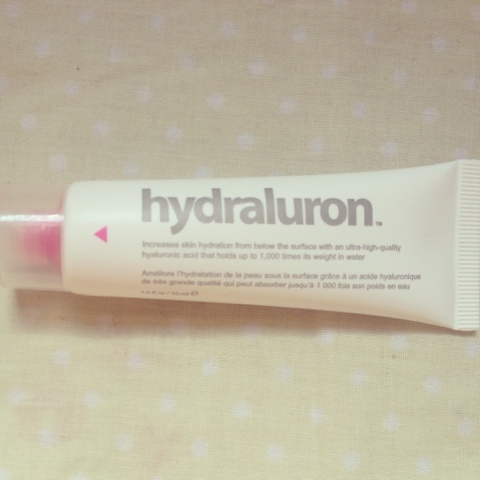 Hydraluron costs £24.99 from Boots and as the tube is relatively small (15ml) I try to use a small amount only on the areas where I feel I need it the most. I did also find some tubes on Ebay for around £16, so I’d shop around first before you buy from boots. Overall, I really can’t see myself using another serum as I’ve finally found something that really works for me. I know I raved about the Jurlique serum a few weeks ago but this is so much better and cheaper. Now I know that Indeed Labs actually work, I really want to try some more of their products. Watch this space.